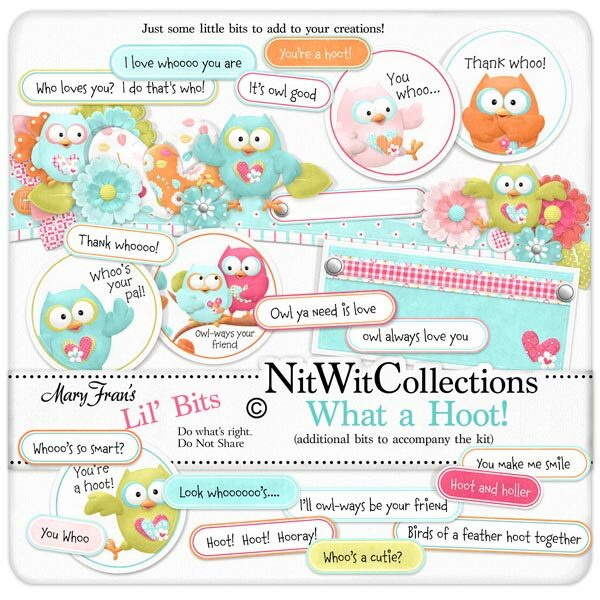 Lil' Bits "What a Hoot" brings these owls and elements to life in fantastic premade scrapbooking and card making elements. You probably need to make a nest, feed your young, etc. so we thought we lend a helping wing! These elements in the Lil' Bits are NOT included in the "What a Hoot" FQB.